As the father of young children, I can tell you that there is a special place in my heart for restaurants that provide puzzles and crayons for small children to pass the time. On a recent trip out to The Counter in Mountain View, Jordan (who is 8) was really struggling with a large maze puzzle on one of these activity sheets. It was a fairly large maze, and he was frustrated by his inability to see the dead ends ahead, forcing him to retrace his somewhat tortured crayon path. I told him to try to solve the maze backwards. As you can probably guess, he began at the end, and was able to find a path back to the beginning in just a few seconds . He was delighted, and a bit surprised, to see how simple the puzzle looked like from a different perspective. Surprisingly, I find that both entrepreneurs & product leaders miss this important lesson when evaluating ideas for either their company or their products. When should we build this? How should should we build this? Too often, when debating what feature to work on next, debates around timing quickly devolve into debates about whether the feature is needed at all. If the answer is yes, you will have that feature, then the question is simple. You are just debating priority. 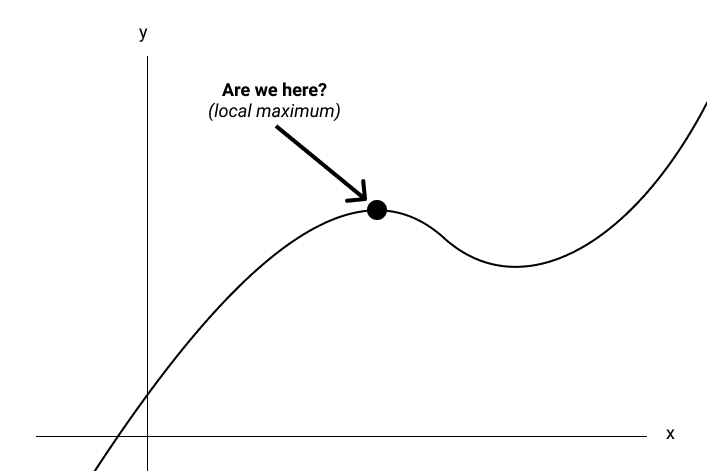 One of the well known issues with iterative processes for delivering product features is the “local maximum” problem. The assumption is that where ever you start with your product, your team keeps working on improvements. Each improvement is measured to ensure it is “better” than the product before the change. However, you can reach a point where every change you make hurts the metrics that you measure. The fear is that there is a better version of your product (the absolute maximum), but it requires a change bigger than you can get to from the current design. It’s called a local maximum problem because of the similarity to the concept in mathematics when you are traveling along the curve. From the local maximum, every move is down, even though the curve ends up higher eventually. Solving the maze backwards can help. By asking the simple question about whether or not your product in the far future has a given capability, it can unblock your thinking about what leaps and changes will be necessary. Whether the limitations are in technical architecture or product design, clarity on your long term vision can help your team visualize a future not trapped by their current constraints. Too often, the real limitation is not related to either technical or design constraints, but rather a lack of clarity and imagination about what might be possible. Just like a maze, it is easy to get lost in the middle. Thinking backwards from the end goal can help the team escape a Zeno’s paradox of minor feature improvements. 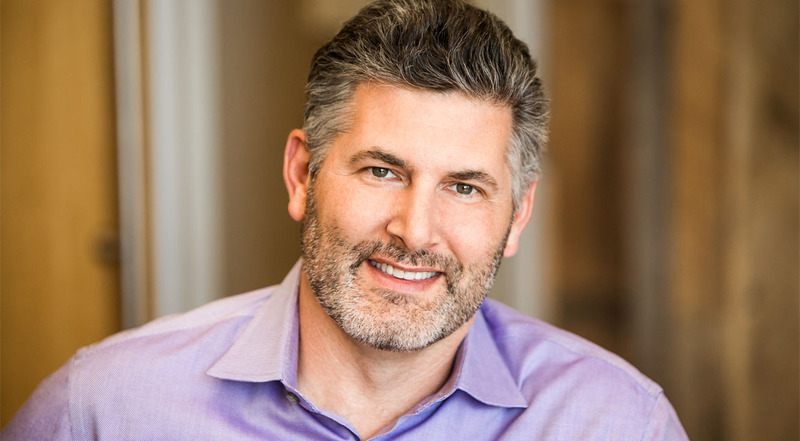 It may seem hard to believe, but in early 2009 when I took over LinkedIn’s mobile efforts, there was still active debate within the company about whether to dedicate significant effort to mobile. Why? Well, back in 2009, the Blackberry was still hitting record sales, the app store was a year old, and from a web metrics point of view, mobile views represented less than 1% of LinkedIn’s traffic. Like every hypergrowth startup, LinkedIn had a huge number of initiatives it wanted to pursue around growth, engagement & revenue, and it wasn’t obvious that mobile would move any of these needles for the company in the next few years. Solving the maze backwards helped. What was fairly obvious in 2009 was that the growth rate of mobile engagement was compounding at a phenomenal rate. LinkedIn, as a professional use case, might have been slightly behind social use cases for mobile adoption, but it was fairly clear that within 5 years (by 2014), mobile should represent a majority (over 50%) of all visits to LinkedIn. Thinking backwards helped give us the confidence to invest in both talent and technology that had little short term payoff, but would become essential to engagement over the next five years as those predictions came true. Fast forward to 2017. I was recently meeting with a founder who was debating whether they should hire a Vice President of Marketing. As he walked me through his thinking, the argument wandered, and became more focused on whether or not the company “needed” marketing. I asked him if there was any way, if the company hit their numbers over the next three years, that the company would not need marketing, or an experienced marketing leader? The CEO quickly responded that marketing would be essential to hit the numbers they were looking for in three years. All of a sudden, the conversation changed. The question wasn’t whether or not to invest in marketing, but more a question of when they need to. Was this a 2017 or a 2018 problem? 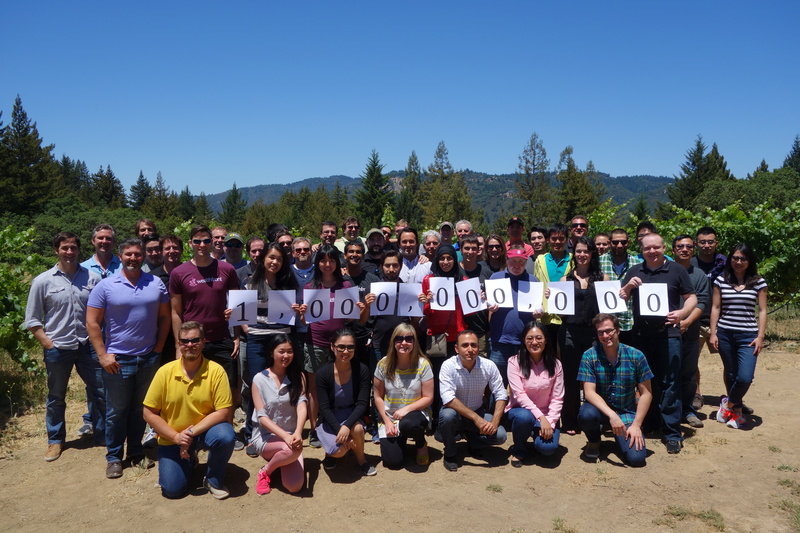 Is this something they would need to hit the milestones to raise their next round of funding, or something that they would invest in during the next cycle? It was now a question of when. Being clear about what your product will and won’t do is a critical element of product strategy. However, because it is so important, even well-meaning teams can turn almost any feature into an existential debate. Thinking backwards can help differentiate questions of “should” from questions of “when,” and that can be incredibly productive in moving the discussion to prioritization. This is not intended to be dismissive of questions of prioritization. Phasing decisions are some of the most important decisions start ups make. Financing for startups is phased. Small teams can only work on a few projects at a time. Customers can only absorb so many new features at once. As a result, prioritization decisions are incredibly difficult to make. Greedy algorithms are very good, but can be traps if you are working against competitors and an ecosystem that is willing to make bets that lie across the gap from your product’s current local maximum. Thinking backwards can help illuminate long term goals that are across the gap. When you are building a product roadmap, and get stuck on debates about a short term feature that doesn’t move the numbers, I encourage founders to take a moment and try to solve the maze backwards. It worked for Jordan, right? Today, AirBnB announced that it had reached a settlement with the city of San Francisco on how to effectively register and monitor legal listings in the city. I am a huge fan of the company, and it seems like a positive outcome for both San Francisco and AirBnB. For many, the issues around many of the sharing economy companies, including AirBnB, are examples of regulators trying to find a way to both control and incorporate rapid, disruptive innovation. There is, of course, some truth to this point of view. However, as a product leader, there is another important takeaway that seems to be too often forgotten. Most of us spend too little time thinking carefully about the people who don’t use our products. The people who don’t use your product often won’t show up in your core metrics. But if you don’t spend time understanding them, you will eventually feel the negative effects in your growth and your brand. When a startup launches a new product, it is natural to obsess with every user it touches. Every click, every tap, every piece of data is precious feedback about your features. The data is one of the most objective sources of information about what your users are doing with your product and when they are doing it. In the early days, before finding product/market fit, a huge amount of time tends to be spent on the people you touch but who don’t convert. In fact, that may be where most people at the company spend their time. As consumer products find product/market fit and hit escape velocity, more and more engineers and designers spend a disproportionate amount of time on users. The people who work on growth & marketing will still often continue to look at the data on leads, trying to find ways of converting those non-users to users. However, as a percentage of the company, fewer and fewer engineers, designers & product managers will be looking at data from non-users. Customer obsession, of course, is generally a good thing. But as we learned at LinkedIn, if you want to grow a viral product, you have to spend a considerable amount of time thinking about the non-user, where they touch your brand and your service, and find ways to both reach them and convert them to users. Few brands and products could ever claim that their conversion rate for everyone they touch is over 50%. It is even possible that Facebook, with nearly 2 billion users, still has more people in the world who have heard of the company than who use it. In 2011, I remember talking to the great founders at CardMunch about a new email they were proposing to add to their service. CardMunch was a wonderful app that made it effortless to scan a business card and then have it automatically entered into your address book, with almost no errors. The proposal was to add an email so that the person whose business card you scanned (non-user) received an email from the CardMunch user with their business card in electronic form. The team was ready to whip something together quickly and test the idea, and the concept was good in principle. But given some of the experience of Plaxo a decade before, it was prudent to ask the simple question: “How many people will see this new email?” Within a few minutes, we figured out that the number of people who would receive this email within the first three months would be 30 to 50 times the total user base of the application. Some of you are probably thinking, “sounds like a great growth feature!” Others are likely venting about why we have so many emails cluttering our inboxes. Both reactions are fair. The guidance I gave the team, however, was to consider the fact that, once they launch this feature, most people who have ever heard of CardMunch will have only heard of it through this email. The product and the brand. I asked them to spend a bit more time on the design on the email, in that context, to ensure that all of their hard work on a wonderful product wouldn’t be drowned in an avalanche of poor experience. In the end, Sid Viswanathan & team did a great job brainstorming ways that they could show the value of a connected addressbook in the email, including LinkedIn features like people you know in common. Once framed properly, it was simple to think about what they wanted non-users to think about their brand and their product. Marketers, of course, have known this for decades. It is a brand marketing staple that it takes at least three touches of a brand before it will stick with a potential customer. Somewhere along the way, software companies lost touch with the basic idea that every piece of content that contains their brand is a potential touch. It is not just the users of the core product that matter for long term growth. Market research and customer development are often essential for discovering and understanding new potential users for your product. The case can be made that viral systems can, in fact, spread to these new pockets automatically. However, truly viral products are few and far between, and in most cases these new markets will not be in the data sets that your product & engineering teams are focused on. Brand will also impact your company well beyond new user acquisition. With AirBnB, we now know the many ways in which their service and brand touch non-users. Neighbors, for example, have natural questions and concerns when a house or a unit near by is available on the platform. Software companies, especially successful ones, tend to have passionate and talented designers and product leaders who are eager to find clever solutions to real user problems. Given the right data and focus, there is no question that these teams can also design and build features that address non-user concerns. Tesla spends time thinking both about the feeling a driver has in the car, as well as the experience of a non-Tesla owner who is watching that car drive by. Spend more time thinking about all of the people who touch your product & your brand, not just your users. It’s hard to believe in 2014, but when I first considered joining LinkedIn in 2007, most of my colleagues had trouble seeing the value in a platform built on top of what looked like an online résumé. At the time, when I was asked why I joined the company, I would tell them that it had always been true that success in business was based on what you know and who you know. LinkedIn was just the modern incarnation of that powerful fact. One of the most pleasant surprises in my current role at Wealthfront has been discovering how relevant career success is to millennial investors. As it turns out, every generation has grappled with the issue of how to find financial success, and millennials are no different. What may surprise most people (including my compatriots in Gen X) is that more than any other generation, I believe that Millennials may have a lot to teach us. You see, it turns out that Millennials have figured out how to make that old adage actionable. Increasingly, as I talk to Millennials, some of whom who have found early success in their careers, and others who are just starting out, I hear the same things. This generation overwhelmingly associates success with control over who they work with, and what they work on. Am I learning from the people I work with? Are we succeeding together as a team? Do I share the same values as my colleagues? Will I fight for them? Will they fight for me? There have been numerous surveys and studies indicating that Millennials are overwhelmingly focused on “their passions.” I think, in some regards, this has trivialized a more fundamental and important trend. Is it really surprising that more and more people have realized that what you are working on matters? The old duality of your work life and your personal life have been hopelessly intermingled. Instead of arguing about whether you live to work or work to live, in the 21st century people increasingly turning away from a purely mercenary view of their labor. They want to believe in the mission, believe their efforts are going towards something bigger than just financial reward. This is why you hear increasing anecdotes of young people choosing lower paying jobs, in some cases jobs that pay tens of thousands of dollars less, to focus on an organization that they draw more purpose from. Not everyone has this luxury, and in some ways that is the point. What does success really mean, if it doesn’t mean that you get increasing control over who your work with, and what you work on? Wealthfront now has over 12,000 clients, and most of them are under 35. What I find striking is that, overwhelmingly, with every success in their financial lives, these young people seem to immediately focus on using their success to gain control over their careers. They don’t seek to optimize for title, or financial reward. Instead, they increasingly use their success to effectively fund the ability to work on a product they believe in, an organization they want to be part of, and a leader they want to follow. This is a networked economy. As Reid Hoffman has described, increasingly the value people build in their careers extends outside of your company. There is a material, and possibly essential difference, in a consumer business where your employees feel like they are punching a clock, versus a team that truly believes in what they are working on and the team they are working with. The influence of your employees, especially as your company grows, is under-measured, and as a result, under-appreciated. But in a huge networked economy, it may be the key to differentiated success. One of the great things about working at Greylock is meeting with entrepreneurs and discussing product strategies for virality and self-distribution. Recently, I’ve been struck with how many of these conversations have reflected back on another topic I’m extremely passionate about, the new user experience. Probably the biggest mistake you can make with your new user experience is to think of it as “registration”. Registration is a bureaucratic, painful process that everyone hates in real life. Your “new user experience” is your first and likely only shot at engaging your potential customer. More importantly, if you are successful at user acquisition and grow rapidly, your new user experience is likely the most prominent representation of your product to the world. Effectively, your new user experience is your brand. When people think of registration flows, they think of optimization. Click through rates. Conversion percentages. This leads people to cut their sign up process down to a bare minimum. Identity: getting enough about you to provide some level of personalization and relevance, so you can begin to care about your identity on the site. Relationships: assuming the product has been designed to be intrinsically social, it should get better the more people you know who are using it. Communication: some mechanism (email, Facebook, LinkedIn, Twitter) to facilitate future communication with you, and between you and other users. This may be counter-intuitive, but your new user experience is likely also fundamentally important to virality and growth. Growth only happens when a user somehow shares content with a non-member through your service. Cycle time matters. The faster your cycle time, the quicker your service will grow in any given time period. Literally by definition, a user’s first experience with your product and service is the first time you can help them start a new viral cycle. So if you want a short viral cycle, you need to include the opportunity for users to connect with non-users in their very first experience. This effect is compounded by the fact that there are quite a few users you may never see again on your site. As a result, the new user experience may not only be your best shot at getting them to invite others, it may be your only shot. 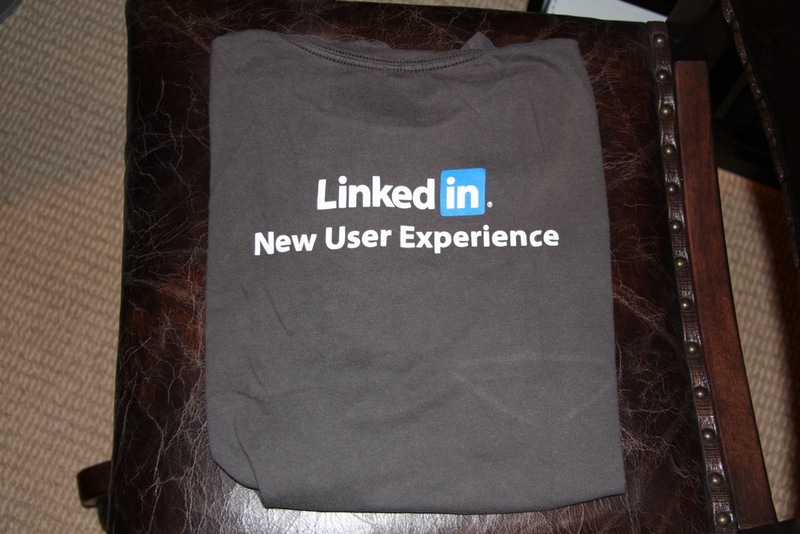 In 2008, we officially said goodbye to registration at LinkedIn, and kicked of the New User Experience team. 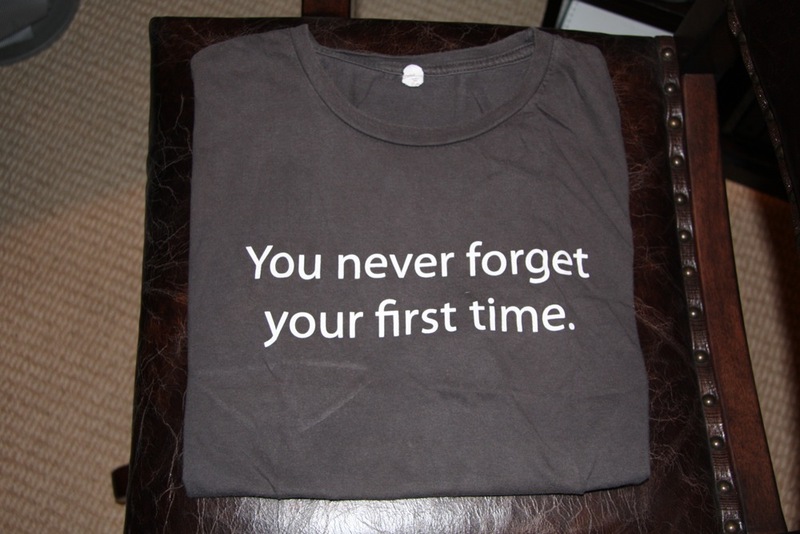 In the spirit of my original diatribe on why t-shirts matter, it’s worth noting that this was one of the most popular and sought after t-shirts in LinkedIn history. Now go make your new user experience great. This is the second post in a three post series on user acquisition. In the first post in this series, we covered the basics of the five sources of traffic to a web-based product. This next post covers one of the most important, albeit trendy, aspects of user acquisition: virality. Look at your product and ask yourself a simple question: which features actually let a user of your product reach out and connect with a non-user? The answer might surprise you. I continue to be surprised at how many sites and applications are launched without having given careful thought to this exactproblem. Virality cannot easily be grafted onto a service – outsized results tend to be reserved for products that design it into the core of the experience. How can a user create content that reaches another user? How does a users experience get better the more people they are connected to on it? How does a user benefit from reaching out to a non-user? “N” is a placeholder for a cycle time that makes sense for your business. Some companies literally track this in hours, others 3 days, or even 30. Let’s assume for now that 7 is a good number, since it tells you given a new customer today, how many new customers will they bring in over the next week. The good news is, once you identify the specific product flows that allow users to reach non-users, it’s fairly easy to instrument and calculate a viral factor for a feature or even a site. But what does the number really mean? 1 + 0.5 + 0.25 + 0.125 …. It’s an infinite series that adds up to 2. By getting a new user, the virality of this feature will generate a second user over time. 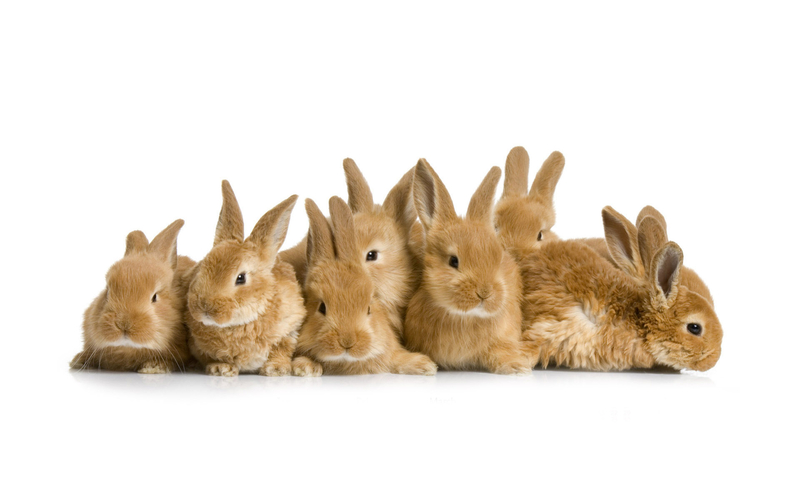 A viral factor is a multiplier for existing sources of user acquisition. 0.5 is a 2x, 0.66 is a 3x, etc. Anything below 0.5 looks like a percentage multiplier at best. What about a viral factor of 1.1? One of the memes that started to circulate broadly in 2008 was getting your viral factor to “1.1”. This was just a proxy for saying that your product or service would explode. If you do the math, you can easily see that any viral factor or 1.0 or higher will lead to exponential growth resulting in quickly having every human on the planet on your service. I don’t want to get into a Warp 10 debate, but products can in fact have viral factors above 1.0 for short periods of time, particularly when coming off a small base. When trying to “spread” to other users, most developers just focus on branching factor – how many people they can get invited into their new system. However, cycle time can be much more important than branching factor. Think of a basic exponential equation: X to the Y power. X is the branching factor, in each cycle how many new people do you spread to. Y is the number of cycles you can execute in a given time period. If you have a cycle that spreads to 10 people, but takes 7 days to replicate, in 4 weeks you’ll have something that looks like 10^3. However, if you have a cycle that takes a day to replicate, even with a branching factor of 3 you’ll have 3^27. Which would you rather have? In real life, there is decay of different viral messages. Branching factors can drop below 1. The path to success is typically the combination of a high branching factor combined with a fast cycle time. As per the last blog post, different platforms and traffic channels have different engagement patterns and implicit cycle times. The fact that people check email and social feeds multiple times per day makes them excellent vectors for viral messages. Unfortunately, the channels with the fastest cycle times also tend to have the fastest decay rates. Fast cycle times plus temporary viral factors above 1 are how sites and features explode out of no where. Clearly articulate and design out the features where members can touch non-members. Wireframes and flows are sufficient. Personally, I also recommend producing a simple mathematical model with some assumptions at each conversion point to sanity check that your product will produce a strong viral factor, layered over other traffic sources (the multiplier). Instrument those flows with the detailed metrics necessary for each step of the viral cycle to match your model. Develop, release, measure, iterate. You may hit success your first time, but it’s not unusual to have to iterate 6-8 times to really get a strong viral factor under the best of conditions. This is the place where the length of your product cycles matter. Release an iteration every 2 days, and you might have success in 2 weeks. Take 3-4 weeks per iteration, and it could be half a year before you nail your cycle. Speed matters. You don’t need hundreds of viral features to succeed. In fact, most great social products only have a few that matter. Now that we’ve covered the five scalable sources of web traffic and the basics of viral factors, we’ll conclude next week with an analysis of what this framework implies for driving distribution for mobile web sites vs. native applications.